Home Company Profile Golden Brain Multimedia Education Corporation Sdn. Bhd. Address: 19 E & F, Jalan Wawasan Ampang 2/8, Bandar Baru Ampang, 68000 Ampang, Selangor, Malaysia. Description: 20 years of teaching experience in mental arithmetic, Golden Brain Multimedia Education Corp. was successful to obtain national and international awards during our research and development period. 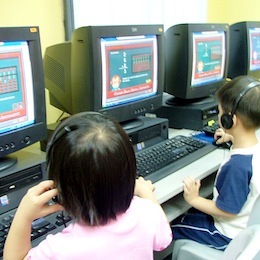 After continuous research and innovation, Golden Brain Multimedia Education Corp. is successful to combine the advantages of Multimedia Technology with traditional teaching method, created a brand new Diversification Multimedia Teaching Platform, teacher easier to tutoring and student learning more efficiency, it was success to break through the operating barriers of traditional learning center.